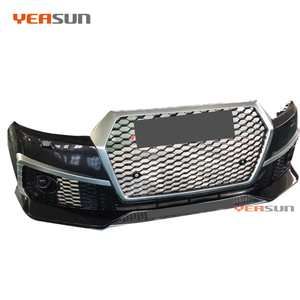 Shanghai Yeasun Technology Co., Ltd.
Changzhou Guangtuo Auto Parts Co., Ltd.
Changzhou Sincerely Technology Co., Ltd.
Q: What's the quality assurance we can provide and how do we control quality9 A:100% inspection on assembly lines. 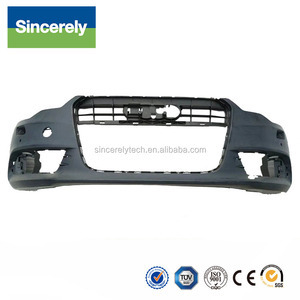 Q: What&rsquo;s the delivery time9 A: Sample order needs 3-7 days. 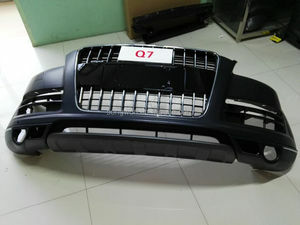 Q: Can I get some samples9 A: Yes, sample order is available for quality check and market test. 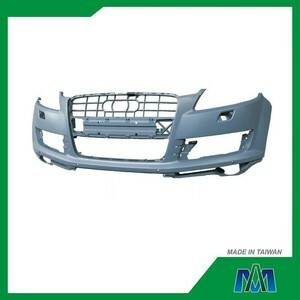 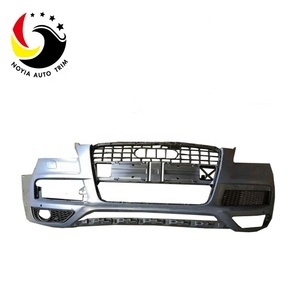 Changzhou Xinchengnuo Vehicle Parts Co., Ltd.
Changzhou Pingfan Import & Export Co., Ltd.
Changzhou Tianchen Vehicle Accessories Co., Ltd.
Xuancheng City Grandsoo Auto Parts Co., Ltd.
Jiangsu Lesui Information Technology Co., Ltd.
Wevi Auto & Motorcycle Parts Co., Ltd.
high quality PP material TT tuning front bumper for audi TT 8J car, 2008-2014 CAR 1.The material is top quality PP material. 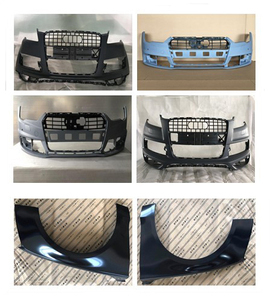 3.Easy installation 4.Supper light weight 5.Welcome OEM orders high quality and hot sale TTRS style front bumper assy for TTRS Product name TTRS Tuning front bumper assy for TT Material The material is top quality PP material. 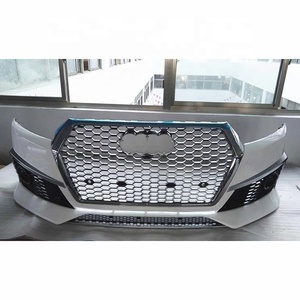 Design OUR OWN DESIGN,NO SAME IN MARKET Delivery time Some items are in stock,if without stock 7-15days after payment,depends on your order quantity. 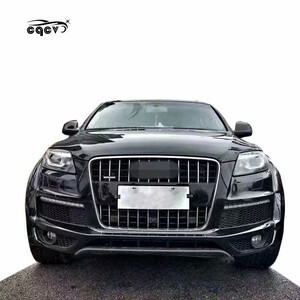 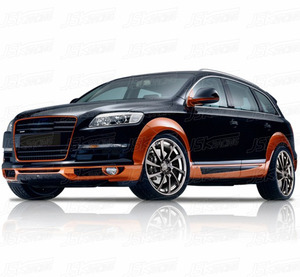 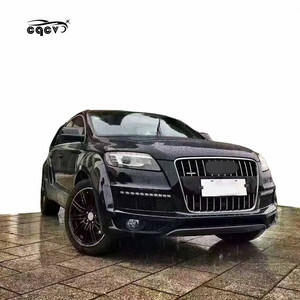 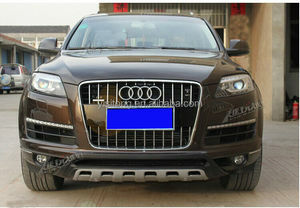 stainless steel front and rear skid plate for Audi Q7 protect plate Part A . 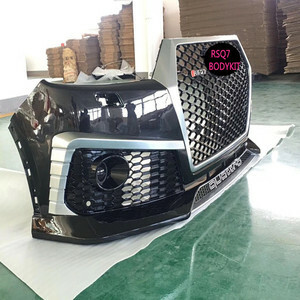 Especially produce SUV parts, like Front and rear bumper guard, Running board, Luggage rack, Front and rear bumper board and so on. 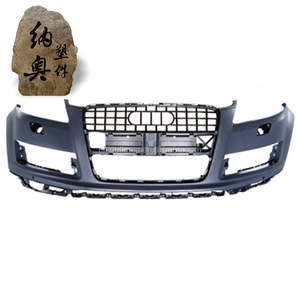 Our company is equipped with advanced production and testing equipment, excellent design team and fashion design concept.